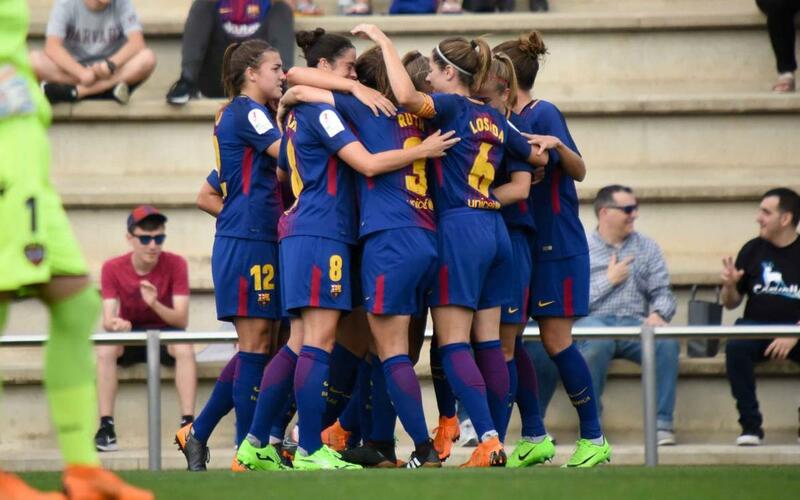 Fran Sánchez’s side secured a very positive victory against Levante in the first leg of the Copa de la Reina quarter finals. The match was decided by Alexia, who finished to perfection a cross from Melanie (1-0). The game in Valencia will be decisive and the blaugranas have an advantage. The first half started with both sides playing carefully and looking to make sure they didn’t concede. As the half wore on, the blaugranas looked to create some chances. Patri Guijarro had a good headed chance, then Mariona went close with a shot; but their lack of accuracy meant it was all square at half time. Fran Sánchez’s team continued playing with intensity in the second half. In the 53rd minute, Alexia finally broke the deadlock as she finished a Melanie Serrano cross to make it 1-0. The match continued with Barça dominating Levante but struggling to add to their lead. In the end, the result was a positive one as they look ahead to the second leg in Valencia.